We’re spoiled here in Florida. When summertime comes, there’s no shortage of incredible boating destinations. In no time, we can be out on the water with family and friends. As Terry Tomalin of Visit Florida reminds us, Florida remains the boating capital of the world. It’s not surprising that there are more registered boats here than any other state in the country. Whether you pick somewhere on the Atlantic, the Gulf, or in the Keys, you’re certain to enjoy all of what Florida has to offer. In this blog post, we will go over some of the boating spots that you must try sooner rather than later. Jacksonville – There’s no doubt that the marinas, ship supply stores, fine hotels, and five-star restaurants grab the attention of boaters. In addition to being the gateway to the St. Johns River, Jacksonville boasts plenty of dockage space, including the Metropolitan Park Marina. If you’re looking for more of a staycation this summer but still want to get away, Jacksonville makes a great choice. Fishers and anglers, in particular, will fall in love with the city, as nothing quite compares to the area’s shallow-water fishing. Miami – Tomalin explains that Fort Lauderdale has been called the Yachting Capital of the World. Keep in mind that the Gulf Stream will pique your interest if you’re blue-water angler. Not to mention, the coral reefs in Fort Lauderdale essentially serve as a magnet for scuba divers. Tampa Bay – Longtime Florida boaters know that Tampa offers some of the best boating in the state. But don’t be hesitant to explore some of the region’s hidden bays and rivers. Tomalin recommends Beer Can Island, Shell Key, or Egmont Key, to name a few. Pensacola – Going back to the times of Spanish explorers, Pensacola has maintained a strong identity of sailing. Along with the nearby towns of Fort Walton Beach and Destin, the trio makes up what’s referred to as the “World’s Luckiest Fishing Village.” You can’t help but relax on the beautiful beaches and sheltered harbors. Plus, if you ask any serious deep sea fisher about their go-to spots, chances are that they’ll mention this as a top destination. Anyone born on or after Jan. 1, 1988 who operates a vessel powered by 10 horsepower or more must pass an approved safety course. In addition to the safety course, you must also have photo identification card to go with a boating safety education identification card issued by the Florida Fish and Wildlife Conservation Commission. 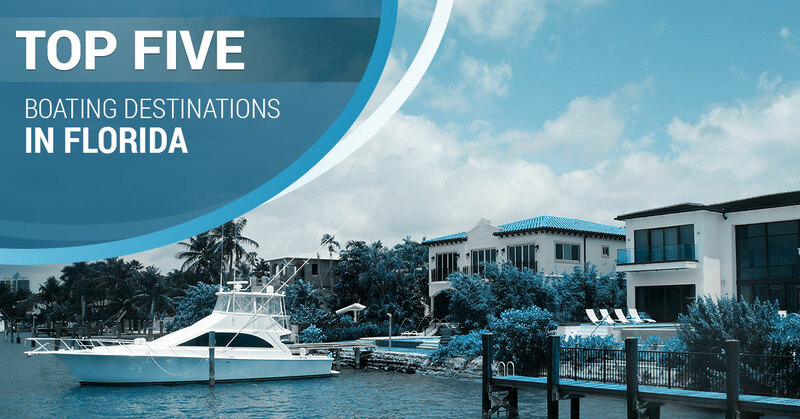 Are you a non-resident looking to enjoy your time boating in Florida? Then you are exempt as long as you have taken an approved safety course from another state. Take a moment to think about the appearance of your boat. 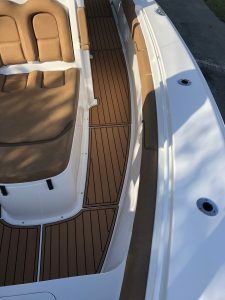 Could you use some marine decking to spruce up the interior and flooring? 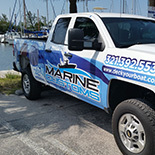 For years, Marine Customs has specialized in non-skid decking solutions for those throughout Florida. We’ve helped boat owners in the east, central, and southern regions of the state enjoy their time on the water like never before. 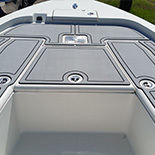 Made from comfortable, durable EVA foam, you can feel at ease knowing that your boat’s surface is protected with non slip decking. From swim platform pads to Stand Up Paddleboards, we have the SeaDek alternative that’s right for you. Don’t let this be another summer where you settle for dangerous boat flooring. 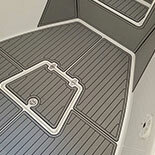 Instead, turn to the anti-slip decking pros at Marine Customs. For an experience that’s customer focused and driven by quality, you can’t go wrong with our boat decking pros. Call us today.